The historical connection between evolution and racism has now become fairly well known. From Darwin himself to Adolf Hitler, the superiority of one ‘race’ over another has been asserted on evolutionary principles. 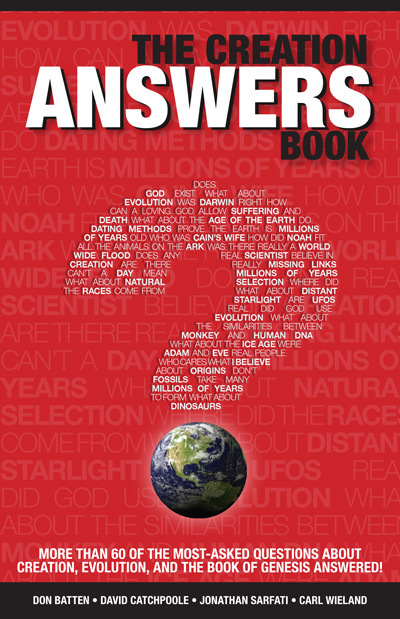 Creationists have been using this for years as a prime example of the social dangers of evolution,1 and evolutionists have acknowledged the truth of this as history.2 Especially since the publication of One Blood,3 creationists have also been in the forefront of providing a biblical refutation of racism. The account in Genesis 1–11 precludes any justification of racism. It also provides a history (the dispersion at Babel) that explains the origin of so-called races, which fits well with our understanding of genetics. The Christian view remained the predominant view until the nineteenth century. But it did not go unchallenged. In the 1500s it was suggested that mankind consists of more than one species, descended from more than one original couple. Adam and Eve were not alone! But those who suggested these ideas (Paracelsus, Giordano Bruno, Giulio Vanini) were radical freethinkers and heretics whose ideas did not enter the mainstream at the time.8 The significance of these ideas for future racist attitudes, however, was great. Peyrère made a few ripples with his theory, but as the Enlightenment blossomed in the 1700s, splashes (in the plural) were made. Polygenesis began to gain significant popularity. The radicals of the Enlightenment were following the path laid out for them by the radicals of the Renaissance. The Enlightenment was in many ways an anti-Christian affair, but on the topic of the origin of mankind it originally stayed close to the orthodox Christian view: man was created, and mankind is a unity.10 But the justification of this was on a non-Christian basis. As historian Reginald Horsman notes, this approach resulted in increasing secularization and opened the door for revision whenever someone could come up with a plausible sounding new theory.11 And these were not long in coming. The new theories built directly on the Renaissance radicals. The basic point was the existence of more than one original couple. The reasoning was similar to that of Paracelsus and Bruno. It was too hard to imagine that all of humanity, from islanders to Europeans, were descended from one original couple. So there had to be others! This account of origins is termed polygenesis. The biblical account of a single original pair is termed monogenesis. A phenomenon closely linked with the rise of polygenism was the rise of a hierarchal view of races. In other words, the so-called races were classified with some viewed as better than others. biblically there is no basis for this. Historically, leading Christian thinkers have rejected these classifications. Augustine stated that it is ungodly pride that ‘abhors equality with other men under Him [that is, under God]…instead of His rule, it seeks to impose a rule of its own upon its equals’.13 The moderates of the Enlightenment (distinct from the radicals, who were polygenists) at first also rejected hierarchy. But it became increasingly common to make comparisons between Europeans and other ‘races’ (especially Africans) that were almost always unfavorable to the latter.14 Again, this is not to imply that they were the first to do so, but they took this tendency to a much higher level than before. Incredible as it might seem to us now, a conglomerate of polygenism and the Aryan ‘out-of-India’ hypothesis combined to become a leading paradigm in anthropology by the 1830s. And this was more than just academic speculation. These hypotheses were directly used to both justify and promote racist attitudes and actions in Europe and the United States. Returning to the early half of the nineteenth century, let us direct our attention to the effects of European scientific racism in the United States. Admittedly, there were monogenists who were racists, and there were attempts, all discredited, to make racist arguments from the Bible.23 But it has largely been forgotten how large a role polygenist thought had on America’s debate over race and slavery. This incisive analysis brings us back to the heart of the issue. The Bible provides no basis for asserting superiority of one people group over another. We are all of ‘one blood’, descended from one man, Adam, who was created in the very image of God. Yet for centuries, sinful man has tried to get around this, and a longstanding tactic has been to justify racism in the name of science and scholarship. Thus, racist science has been consistently opposed to the Bible. As I mentioned already, the connection between evolution and racism is well established. The pre-Darwinian racists may have had to wait for Darwin for some of their best arguments,31 but the use of anti-biblical science for racist goals was already a tradition. By looking at a sampling of pre-Darwinian theories used to justify racism, I hope to have shown how this trend has played out through history. The unusual, bizarre, and sometimes almost laughable rationalizations of racism have come and gone through the years. The Bible has been mocked, ignored, attacked, or twisted to conform to racist ideologies completely foreign to its message. But its true message has been clear to all those whose minds have been conformed to Scripture, instead of conforming Scripture to their fallen minds. Racism, even when masquerading as science, has always been unbiblical. We have a common ancestor, Adam. And you cannot classify part of your family as animals without reflecting on yourself. Did man come from primate ancestors? Pre-Adamic man: were there human beings on Earth before Adam? Henry M. Morris, A History of Modern Creationism (San Diego: Master Books, 1984), chapter 2. Return to text. For example, Edward J. Larson, Evolution: The Remarkable History of a Scientific Theory (New York: Modern Library, 2004), pp. 98–99, 114, 154–156, chapter 8.Return to text. Ken Ham, Carl Wieland and Don Batten, One Blood: The Biblical Answer to Racism (Green Forest, Arkansas: Master Books, 1999). Return to text. One Blood effectively refutes the arguments of the pseudo-biblical racists in Ch. 7. Return to text. Reginald Horsman’s Race and Manifest Destiny: The Origins of American Racial Anglo-Saxonism (Cambridge, Massachusetts: Harvard University Press, 1981) introduced me to this history. Return to text. Augustine, cited in Brendan O’Flaherty and Jill S. Shapiro, ‘Apes, Essences, and Races: What Natural Scientists Believed about Human Variation, 1700–1900’, Columbia University, New York, Department of Economics Discussion Paper #:0102-24, March 2002, p. 8. Return to text. Aristotle, Politics 1, 4. Return to text. O’Flaherty and Shapiro, p. 9; Leon Poliakov, The Aryan Myth: A History of Racist and Nationalist Ideas in Europe, Edmund Howard, trans. (New York: Basic Books, 1974), pp. 132–133; Horsman, p. 45; Richard H. Popkin, ‘The Philosophical Basis of Eighteenth Century Racism’, in Harold E. Pagliaro, ed., Racism in the Eighteenth Century, Studies in Eighteenth-Century Culture, vol. 3 (Cleveland: Case Western Reserve University, 1973), p. 251. Return to text. Poliakov, pp. 132–133; Popkin, pp. 252–253. See also Grigg, R., Pre-Adamic man: were there human beings on Earth before Adam?, Creation 24(4):42–45, 2002; Lubenow, Marvin L., ‘Pre-Adamites, Sin, Death and the Human Fossils’, Journal of Creation 12(2):230, 1998. Return to text. O’Flaherty and Shapiro, pp. 13–16; Horsman, pp. 45–46. Return to text. Horsman, p. 46. Return to text. Quotes from John Atkins and Voltaire, cited by Poliakov, p. 175. Return to text. Augustine, The City of God, XIX, 12. Return to text. O’Flaherty and Shapiro, pp. 16–18. Return to text. Virey, quoted by Horsman, p. 49. Return to text. Kant, quoted by O’Flaherty and Shapiro, p. 18. Return to text. Romans, B., quoted by Horsman, p. 52. Return to text. For a concise and witty critique of higher criticism, see Gary North, The Hoax of Higher Criticism (Tyler, Texas: Institute for Christian Economics, 1989); see also the articles under Who really wrote Genesis? Return to text. Horsman, chapters 2, 3; Poliakov, chapter 9. Return to text. Poliakov, pp. 208–209. Return to text. Poliakov, p. 105. Return to text. This is actually a summary of Poliakov, op cit. ; on Darwin and Nazism, also see Henry M. Morris, The Long War Against God (Green Forest, Arkansas: Master Books, 2000) pp. 60–82; Jerry Bergman, ‘Darwinism and the Nazi race Holocaust’, Journal of Creation 13(2):101–111, 1999; Richard Weikart, From Darwin to Hitler: Evolutionary Ethics, Eugenics, and Racism in Germany, Palgrave Macmillan, New York, USA, 2004 (see review). Return to text. On monogenists and slavery, see O’Flaherty and Shapiro, p. 23; on the imaginary curse on Ham, see One Blood ch. 6. Return to text. Horsman, p. 117. Return to text. Horsman, p. 141. Return to text. Horsman, pp. 145-148. Return to text. Edward J. Larson, Trial and Error: The American Controversy Over Creation and Evolution, 3rd ed. (New York: Oxford University Press, 2003), pp. 11–12; A. Hunter Dupree, ‘Christianity and the Scientific Community in the Age of Darwin,’ in David C. Lindberg and Ronald L. Numbers, eds., God and Nature: Historical Essays on the Encounter Between Christianity and Science (Berkeley: University of California Press, 1986), pp. 356–358; Horsman, pp. 132–133, 151. Return to text. Horsman, pp. 151–155. Return to text. Horsman, pp. 147–149. Return to text. Horsman, p. 149. Return to text. Peter J. Bowler, Evolution: The History of An Idea, rev. ed. (Berkeley: University of California Press, 1989), p. 88. Return to text.